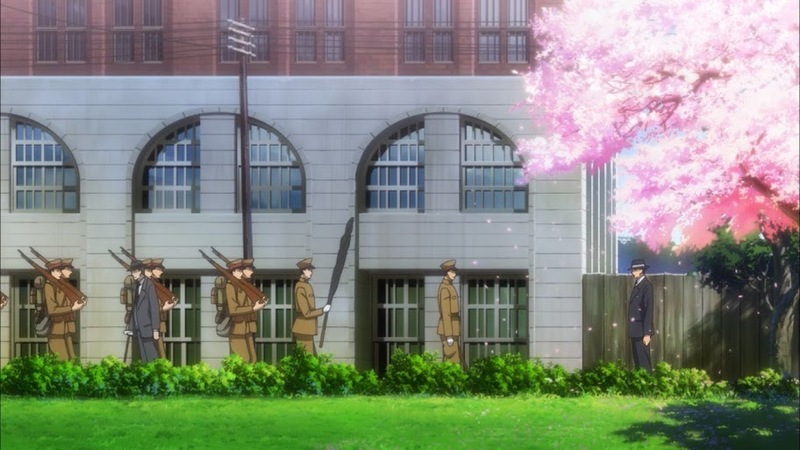 After a lengthy flashback to his time with D Agency, Sakuma saves himself from forced suicide by realizing where the evidence of Gordon’s illegal activity is hidden: the one place the real (non D Agency) Japanese military would have left alone. The spies locate the evidence hidden behind the portrait of the Imperial Family in Gordon’s house. 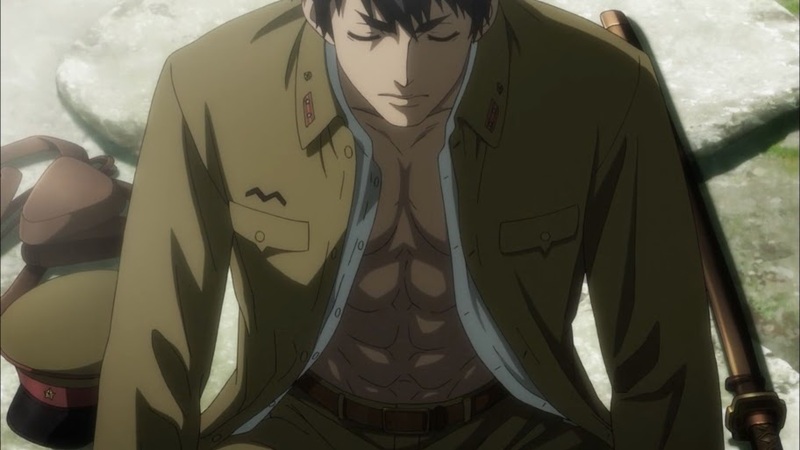 Sakuma goes to report the success of the mission to Colonel Mutou, his superior. An argument breaks out as it is revealed Sakuma allowed D Agency to retain possession of both the evidence and Gordon, whom they hope to convert into a double agent. Sakuma effectively ends the argument when he explains that he carried out a private investigation of his own. He learned from the owner of a geisha house Mutou frequents that the colonel had spilled details about the operation to the geisha there (presumably with Yuuki or one of the other spies eavesdropping). Sakuma leaves as Mutou accuses him of now being on D Agency’s “side”. He then meets up with Yuuki, who is impressed that Sakuma managed to figure out it was him spying on Mutou at the geisha house. (Sakuma realized that the person must have had a prosthetic hand like Yuuki, because there were no fingerprints on an object he gave to the owner.) He also reveals that the goal of the Gordon operation was to secure more money from Mutou for the underfunded D Agency. He asks Sakuma if he would like to train as a spy. Sakuma realizes that he no longer wants to be treated as a pawn, but does not answer. Wow. OK. 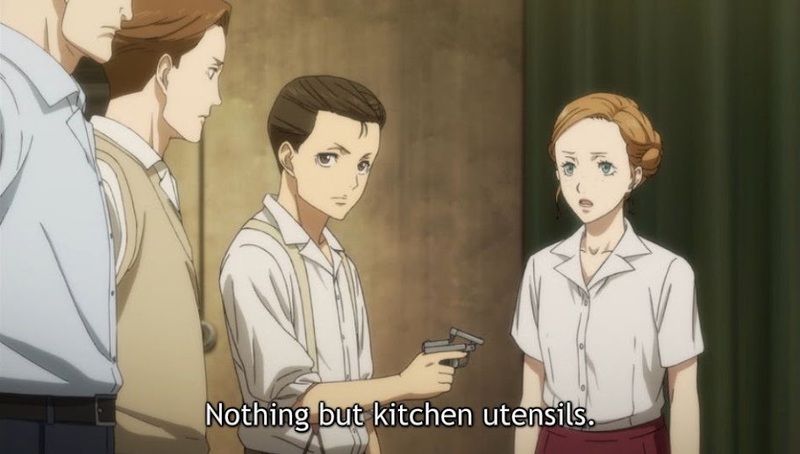 The first thing I have to say is this: Joker Game is complicated. Writing a summary for this episode, with its plots-within-plots and reveals-within-reveals, was incredibly difficult, and a big part of me is wondering what exactly I’m getting myself into choosing this show to blog. But it not only caught my attention with the first episode but managed to keep it in the second. 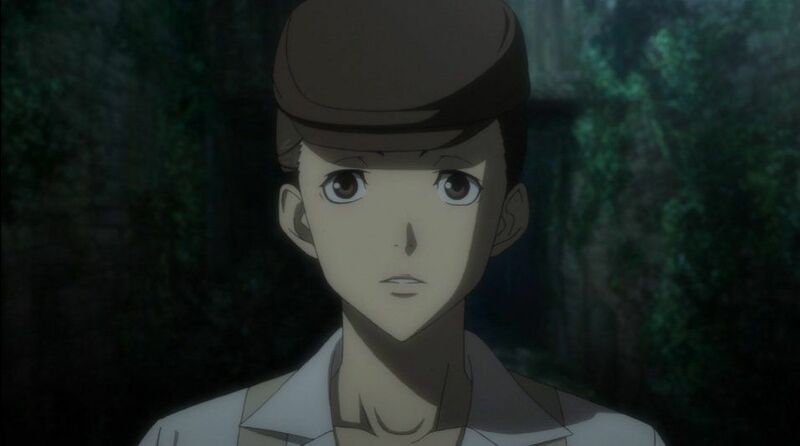 The constant feeling of incredibly high stakes and high tension does not make Joker Game the most relaxing watching experience, but it resulted in the show being my choice out of several strong candidates this season. First, let me get the episode’s only major flaw out of the way: the pacing. Between the opening sequence and Sakuma’s flashback, a good several minutes (over five) pass before we get any new information. Honestly, it feels like they had too much plot for one episode but not quite enough for two, so they padded it out with flashbacks, which is the worst kind of filler because it’s showing you WHAT YOU’VE ALREADY SEEN, IN JUST THE LAST EPISODE. Other than that though, it was a strong episode. The aesthetics continue to be great. I especially love the lightning in the final scene between Yuuki and Sakuma. Speaking of Sakuma, while he’s definitely hogged the spotlight these two episodes at the expense of the eight spies, his story arc is absolutely fantastically written. You could really feel how utterly hurt he was when he realized that the military was just using him. Yet he doesn’t abandon his convictions entirely, and seemingly chooses to stay in a neutral/central position rather than taking Yuuki up on his offer to train with D Agency. I’ve only known this guy for two episodes, but I’ve already seen an entire emotional journey from a naive patriot to a much more self-aware character understanding that he’s in a world of moral grays. Major hats off to the writers for creating such a concise but deep character arc, and making viewers (or at least me) actually care about it in such a short time. I can’t wait to see where Sakuma’s journey takes him from here. I’m sorry. I tried to not cap this part. I failed. The year is now 1940, and the place is German-occupied France. One of the D Agency members, Hatano, is on a mission posing as a Japanese exchange student named “Shimano”. When he defends an old woman from German soldiers, he is knocked unconscious and develops amnesia. He is rescued and treated by three French people – Alain, Jean, and Marie – but they begin to suspect he is more than he seems when he mutters strange numbers and foreign words in his sleep. Kitchen utensils? No worry then. We’re gonna be just fine. Despite this, they trust Hatano with their secret – they are underground resistance fighters opposing the Occupation. German soldiers surround their house. 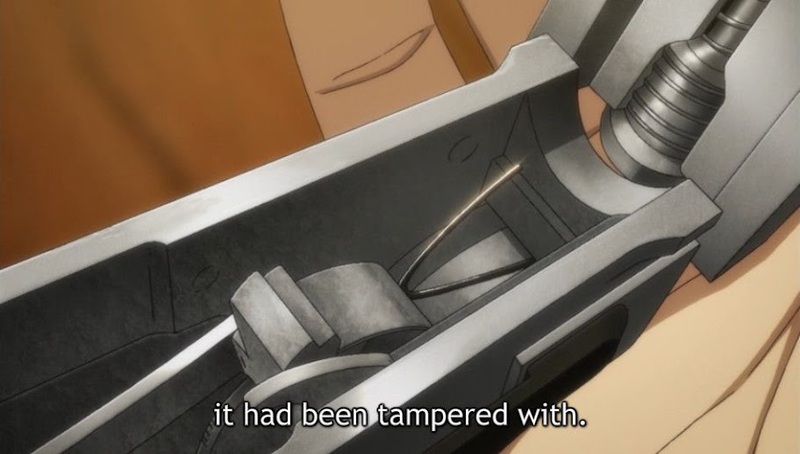 Hatano agrees to help protect them, and fixes their only gun, which was jammed. He sets off an explosion using only flour dust and a bellows, allowing the four to escape. However, Marie reveals herself to be a German spy and the one who sabotaged the gun in the first place. 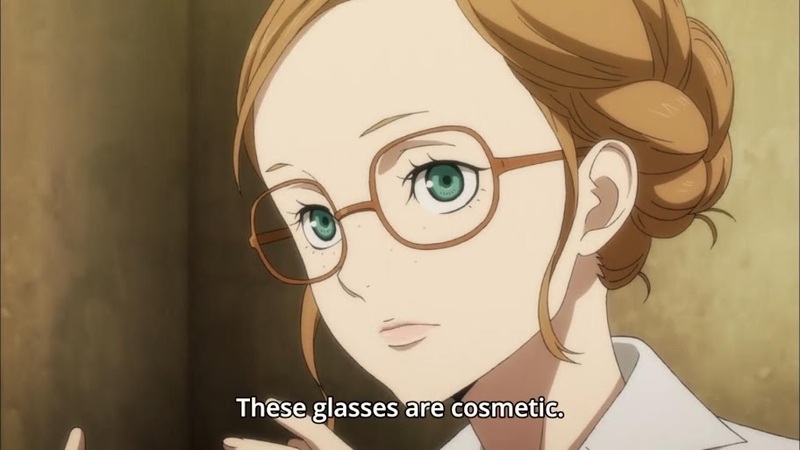 Unlike Hatano, she is not a spy willingly, and only collaborates with the Germans because they are holding her family hostage. She believes turning over Alain, Jean and “Shimano” will cause the Germans to free her parents. Hatano disarms her, but Jean, unable to put aside his love for Marie, knocks him out. The attack restores Hatano’s memories, and he parts from Alain on friendly terms. 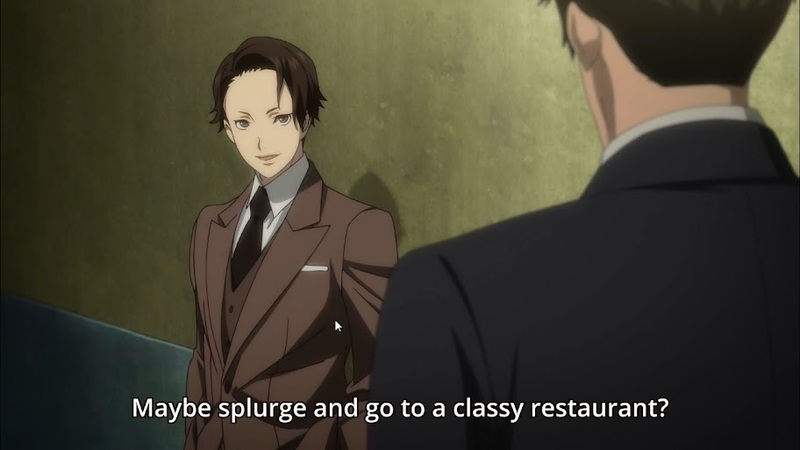 He meets with a contact who turns out to be Yuuki himself, revealing that the entire thing (sans amnesia) was planned, and Hatano’s mission was to infiltrate the French Resistance and learn details of its membership. After hearing Hatano’s report that the French Resistance is small, scattered and disorganized, Yuuki orders him to return to Japan, implying that Japan is planning to ally with Germany. I do like Marie’s design. She’s pretty cute. Well, I was not expecting this. 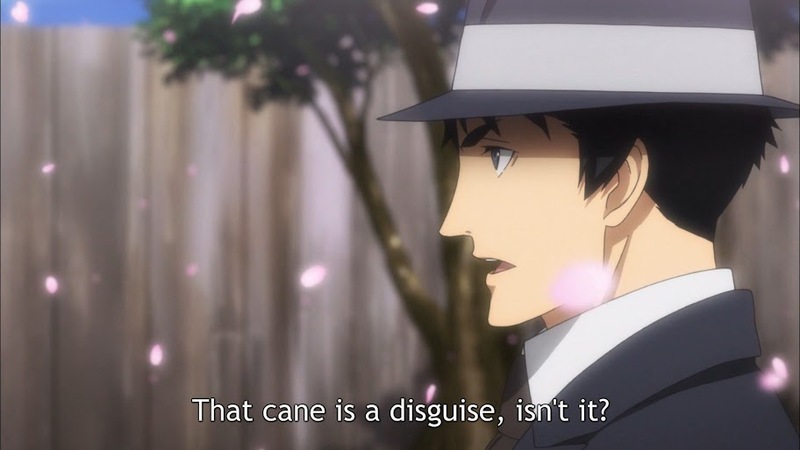 Apparently I should have done my research, because it seems to have been common knowledge around the Internet that Sakuma was not the main character, but actually a minor presence only in the first arc, and from now on Joker Game will be an episodic series focusing on the spies. Although I liked Sakuma’s story and would love to see more of him, I actually don’t mind the episodic nature, at least so far. It allows the spies to get more individual focus (and they’re a little easier to tell apart when they’re not all in the same shot) and we get to see more of the world on the brink of war. While it was a little disorienting in the beginning, with the episode starting mid-action AND having skipped forward about a year, the plot of this single-episode arc was simple enough that I caught on fairly quickly. I love the detail here. The attention paid to objects in this show is great. As for the plot of the episode itself – I liked it. No, it wasn’t as complicated and twists-within-twists as the first two, but that’s OK. It managed to take a trope that is difficult to do well – amnesia – and actually make it interesting by having Hatano subconsciously remain aware of his mission and keep moving to complete it. I also LOVED the subtle differences in how he was drawn as the amnesiac “Shimano” and as the spy Hatano. 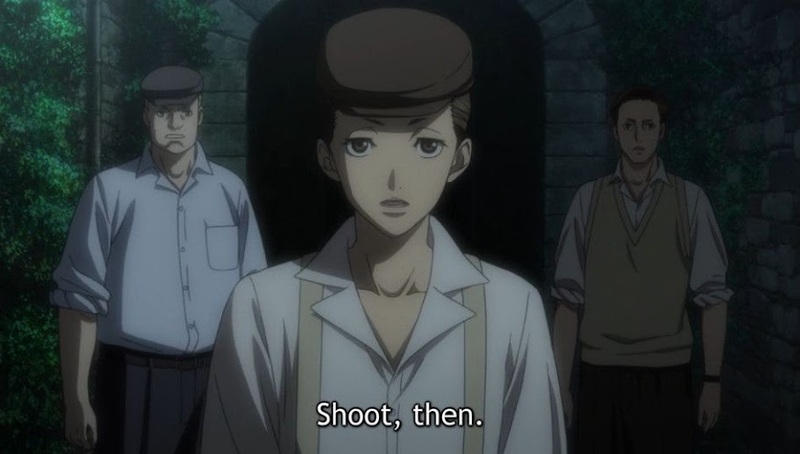 (Shimano smiles more and has a very tense, energy-filled posture, while Hatano appears more relaxed and is almost dead-eyed). While the three French Resistance members did not get the most development, being three characters introduced for a single episode, I did really like Marie. She served as an effective foil for D Agency, being someone who was forced against her will into the spy position. If the D Agency boys have a reason for choosing this profession, it hasn’t been revealed yet. The contrast between the emotional reveal of Marie and Jean’s decision to stand by her and Hatano delivering his news to Yuuki with a dull smile on his face was absolutely chilling.